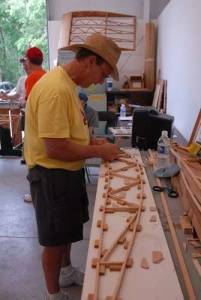 Woodworking, Includes construction of wing ribs, fuselage, jigs and tooling and adhesives. Metal fabrication, Sheet metal selection, cutting, drilling and riveting, fabrication of all metal aircraft components. Metal shaping, this shop covers the shaping of custom compound shapes in aluminum using various metal shaping techniques and equipment. Oxy-fuel Welding of both steel and aluminum, Oxy-acetylene and oxy-hydrogen welding techniques for fabrication of steel structures and aluminum components. TIG/MIG Welding of both steel and aluminum, this program, presented by Lincoln Electric covers Tungsten inert gas (TIG) and Metal inert gas (MIG) welding. Avionics/Electrical installation, The proper wire, terminals, tools and techniques for installation of a reliable aircraft electrical system are provided. Electrical Noise and Trouble shooting, proper installation and isolation of circuits to reduce interference and “noise” in avionics systems. Fabric Aircraft Covering, hands on experience in fabric covering and doping provided here. Rib Stitching, The attachment of fabric to wing structures is explained, demonstrated and learned here. 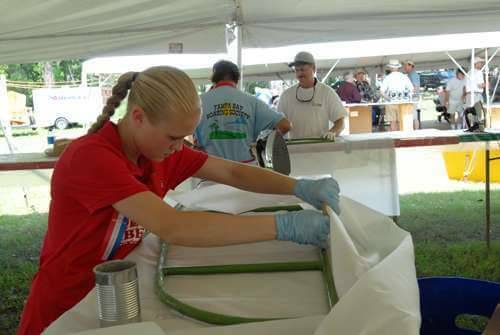 Composite Construction, Foam shaping and cutting, fiberglass and resin selection and application and vacuum forming, taught here. Safety Wiring and Cable Swaging, the use of safety wire and proper tools for installation of safety wire and swaging of control cables covers bolting, turnbuckles, thimbles, propellers, etc. Engines and Firewall Forward Installations. This shop covers all things engines. 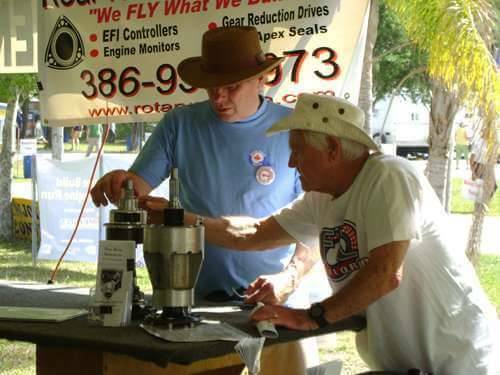 Engine maintenance, assembly, modification and installation are addressed as well as display and run-up of various engines. Many of our shops are FAA approved for IA renewal and we are in the process of obtaining approval for additional presentations. For the Convention Attendee who wishes to gain experience and knowledge, these Workshops are a bonus not only to the FAA Licensed, A&P and IA Technician but to the Amateur Aircraft Builder alike. Pay the entrance fee at the gate and the rest is free. The cost of these Workshops if paid for individually would cost thousands of dollars, but SUN ‘n FUN provides all this for just the cost of admission.